"Dear Becky and Team, Just a line to say a big thank you for your care in looking after my property. A big thank you for finding a new tenant so quickly. Keep up the good work. Best Regards"
"Tammy Powell provides an outstanding service as our rental agent. She always keeps us up to date and is always at the end of the phone to rapidly resolve issues and queries. We would confidently recommend CGT Lettings in Stroud to any prospective landlord. Excellent." 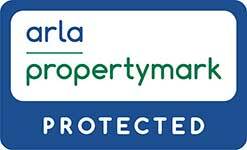 "As an existing customer of CGT I had a property to move out of and one to move into. The whole team have been very helpful and efficient, particularly Harriet and Nadine. Friendly, professional and knowledgeable. My scenario wasn't straight forward but was dealt with extremely well. I would have no hesitation recommending CGT. Many thanks." "I have used CGT for almost 20 years now. The staff have always been professional and get any problems resolved quickly. They offer a fair intermediary between landlord and tenant. Recommend them." Please take a moment to let us know your thoughts about the service you received from us. Which team member did you deal with? How would you rate the service that was provided? Were you dealt with in a friendly and professional manner when you visited the branch? Was that colleague knowledgeable of the properties we were Letting? Did they always return your call promptly?